I don’t know about you, but winter really did a number on my skin. The heels of my feet are all cracked. The eczema on my hands is unbearable. And while I am used to all of this (it’s just part of life when you live in the northern hemisphere), my face has been suffering more than usual this year. I don’t know if it’s because I am spending more time outdoors or that the weather is colder than it has been in winters past, but I find that no matter how much moisturizer I apply or how often I exfoliate, my face is always dry and red and sore, and it is next to impossible to make my foundation look flawless. So I’ve been doing a little research on different techniques and products I can use to improve my skin care routine, and I found these 5 skin care hacks for flawless skin by Michelle Phan to be the most helpful. She recommends a lot of great products for all different budgets, and while I always knew extra virgin olive oil is a great makeup remover substitute, I never knew that apple cider vinegar followed by water was a good alternative to using expensive toners! 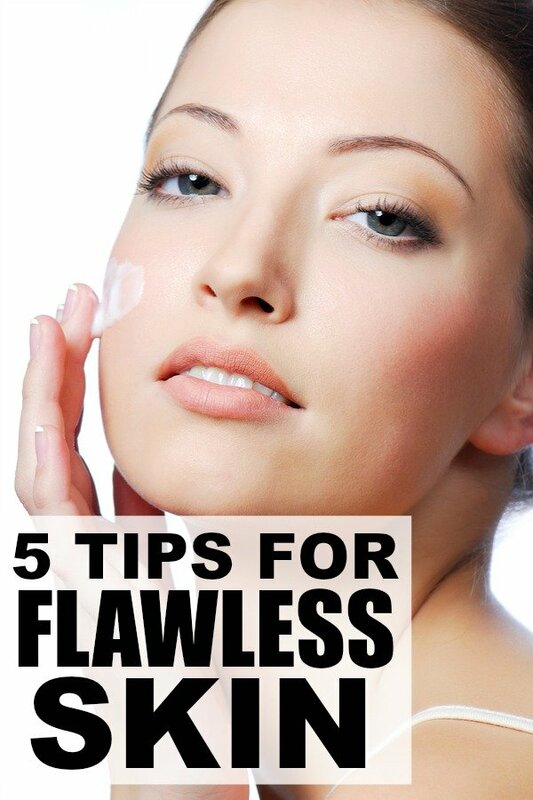 Check out her tutorial below and let me know in the comments section if you have any other skin care tips for flawless skin to add to her list! If you’re not already following Michelle Phan on YouTube, you can do so by clicking HERE. I have learned so much stuff from her, and I find her tutorials are LOADED with fabulous tips and tricks!